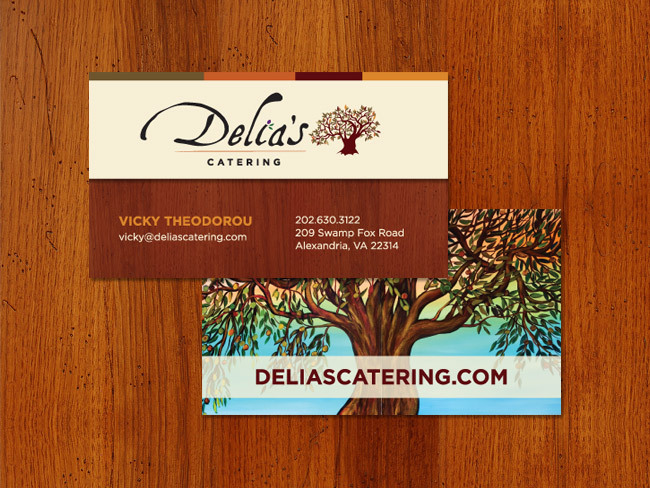 Delia’s, a restaurant in Virginia needed business cards for their new catering division. We used pieces of their website design to create these fun and vibrant cards. The colors are rich and striking, and we paired those with great textures and a picture of an olive tree painting in their restaurant. 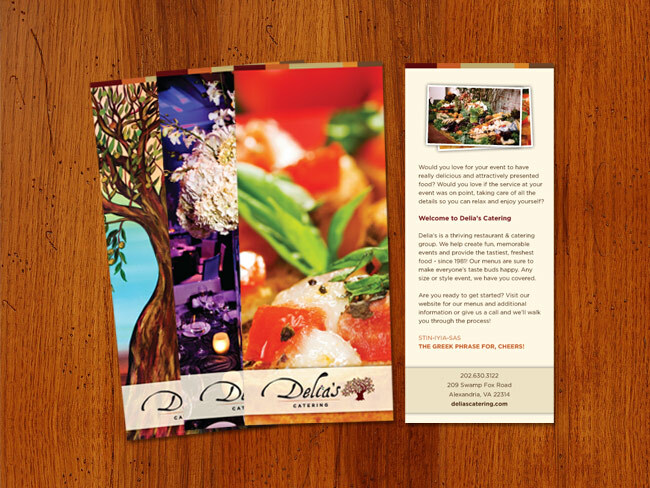 They also needed new brochures to market and advertise their catering company, so we created a series of 3 different brochures. They all have the same information on the back, and a different image on the front. Their striking photography really makes their food and quality of service stand out.